As I write, teams are setting off for Everest for their 2 month expeditions and pursuit of the summit of Mount Everest. Although our altitude aspirations are a little lower at Trek8848 these days, our dedication to the area, the people and the mountains that make this part of Nepal so rewarding only grows. We have an exciting expedition taking shape for November 2018, with plans to visit Everest Base Camp, climb Lobuche East, make the crossing of the Cho-La pass and visit the Gokyo Lakes. We are excited to be going back to Gokyo, the picturesque village settled peacefully by the side of the impressive, incandescent lake of the same name. 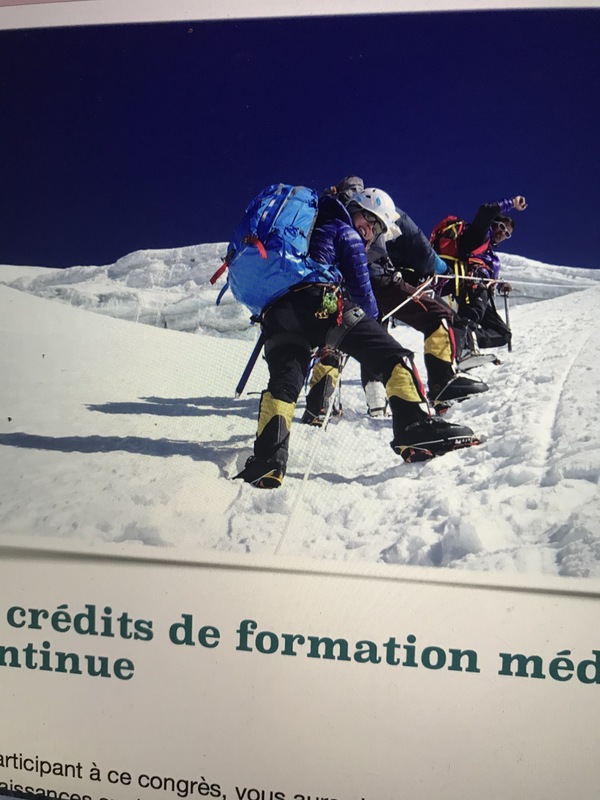 But without further a-do, we wanted to give you a resume of autumn’s expedition 2017, including information about the medical congress that we were able to host whilst trekking to Base Camp and an update on Chheskam School. 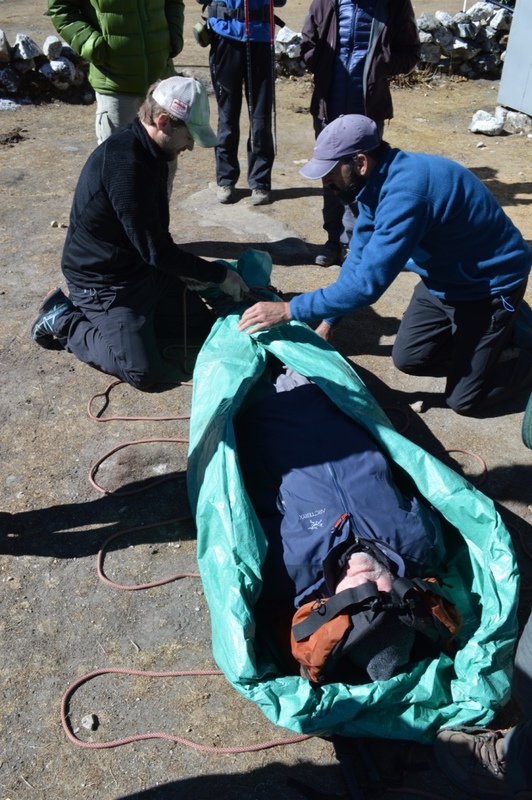 The medical trip was hosted by members of Laval University, Québec and included a day of classroom based lectures in Kathmandu as well as hands on practical training whilst trekking to Base Camp. Each participant earned 19 CME credits and all profits from course fees were invested into the ongoing rebuild of Chheskam school (see link to “giving-back”). Whilst in Kathmandu, we were able to meet with the chairman and managing director of the main internet provider for rural Nepal and he agreed to bring “the internet” to Chheskam using satellite technology. This will help Marie-Kristelle and the school’s headmaster Guru in their bigger plan of delivering first class education to the school via online teaching, supporting the hard work of teachers already there. Adding to this good news was the fantastic feedback from “corporations for community connections” (http://www.c4cc.ca)a charitable organisation in Canada, who had agreed to refurbish and deliver 48 laptop computers donated by Siemens, to the school. This was not only an act of great charity, but also one of immense logistical planning and commitment by Philip and his team. The school will take delivery of the computers in the next few weeks. 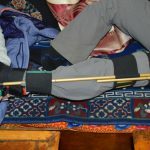 In addition, Adventure Medical Kits (http://www.adventuremedicalkits.com) partnered with us to provide the expedition medical kit, an invaluable component for the trip. In this post-expedition round-up, we’d really like to say thank you to Adventure Medical Kits for their help, support and great medical kit(s) that we would whole heartedly endorse for any of your expedition needs. Following the normal organised chaos of Kathmandu, we left for the tranquility of the Khumbu mountains by plane to Lukla. Our early morning flight was on time and before we knew it, we were already having an early Dal Baht in Phak Ding by late morning. The team was energised by the mountain air and our progress was swift. During the following days, we made our expected schedule with ease. 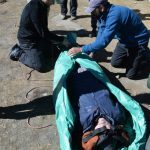 The medical conference (for any healthcare professional interested in expedition medicine) would use some of the free evenings to complete the course syllabus and focus on “in the field” techniques and principles which were crystallised by our presence in Nepal and importantly in the mountains. We had loaded up our “Mountaineer” Medical Kit with a few extras, including haemostasis tourniquets, mountain drugs (such as Diamox, dexamethasone and nifedipine) and some eye trauma kit that I find comes in useful whilst on expedition. The kit was ample for day to day use and provided a great basis for an 8-10 man team. We particularly liked the modular components, allowing us to pare down the kit into individual Velcro detachable compartments when necessary – for example the small pouch “altitude meds” was effortlessly removed from the bigger kit for acclimatisation walks and then reconstituted with the bigger kit when we were making the move to a new destination. Again, when setting off for the summit of Lobuche East, this approach proved useful and versatile. 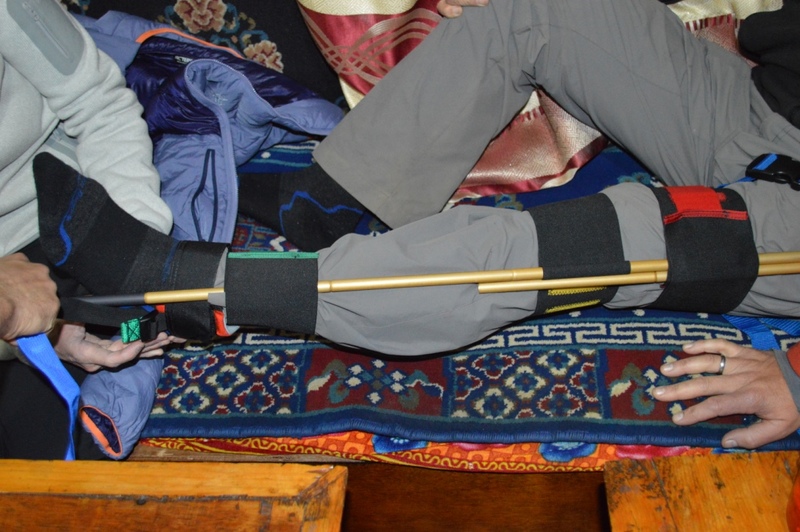 Half of the expedition team was afflicted by gastro symptoms in Pheriche. This is the first time that we have seen so many get unwell all at the same time. As we look back on it, it’s hard not to see the irony in that it was a group of medical folks who got unwell. It’s just not supposed to happen that way round! Luckily, it was just a brief illness for most and everyone was able to carry on after a day of rest. Following a presentation in Kathmandu from a world expert on the subject, we felt well equipped to deal with the illness, come what may! The culmination of the trip was the arrival at Everest Base Camp, the summit of Kala Patthar and/or the summit of Lobuche East – depending on each person’s choice. All 10 members who left for Lobuche East made the summit, along with Ang Nuru and Chetan, are two Sherpa guides. 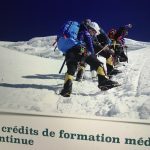 A massively impressive performance and rate of success for our team of trekkers, most of whom had never seen a crampon before in their lives. We made good time back to Lukla and flew the following day to Kathmandu. The massages prove a great success along with those who took the barber-shop offering of beard, nose and ear trim, haircut and neck-massage (all for under $10!). Nepal is a fascinating country. It’s an amazing place to visit, even if you never make it out of Kathmandu. However, a trip to the mountains in this part of the world is so special. Words fail to really explain it. We warmly welcome you onto any one of forthcoming trips to share in the adventure and the dream of climbing (at least near it) Everest!